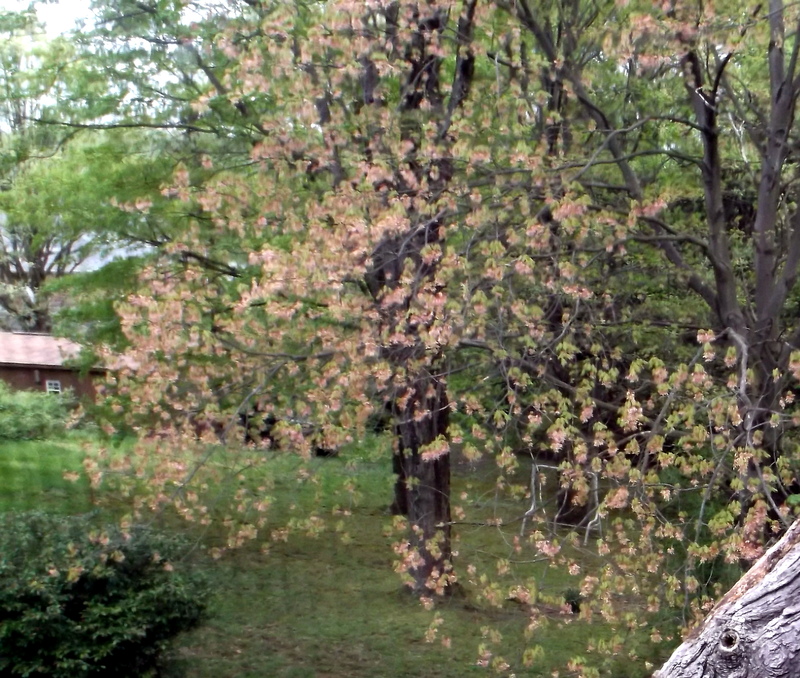 I was so consumed with our downed tree I didn’t notice the bumper crop of maple seeds on one of our trees. 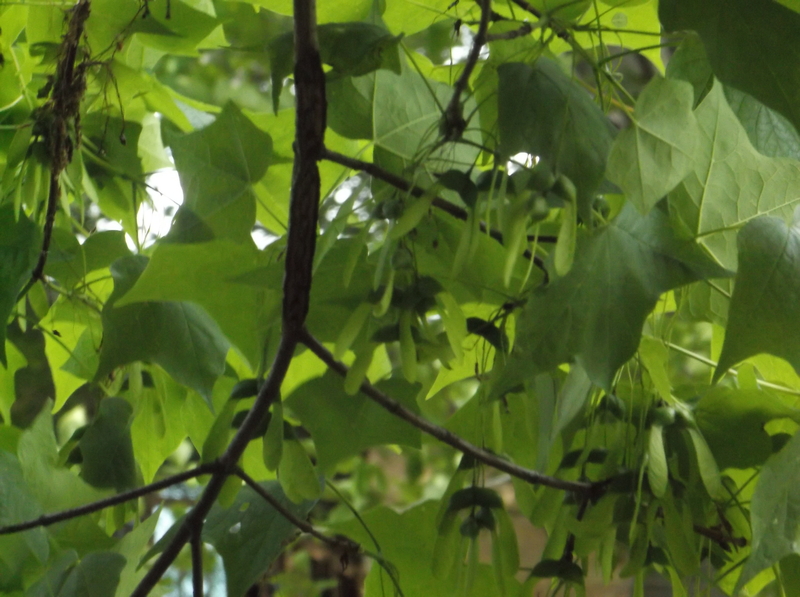 These showed up in the picture of the cat on the old maple. Now picture the whole tree covered in seeds. That’s a lot of seeds! Two weeks later – can you see who is enjoying the bonanza? That’s a fox squirrel balancing on the little branches to reach the feast. Birds and rodents will help themselves as well. Curiosity got the cat, and I went googling to see if these were edible for humans. They are! This tree still has yet to ripen its seeds. When the seeds get a wee bit bigger (before they’re dry and bitter), I’m going to give them a try! 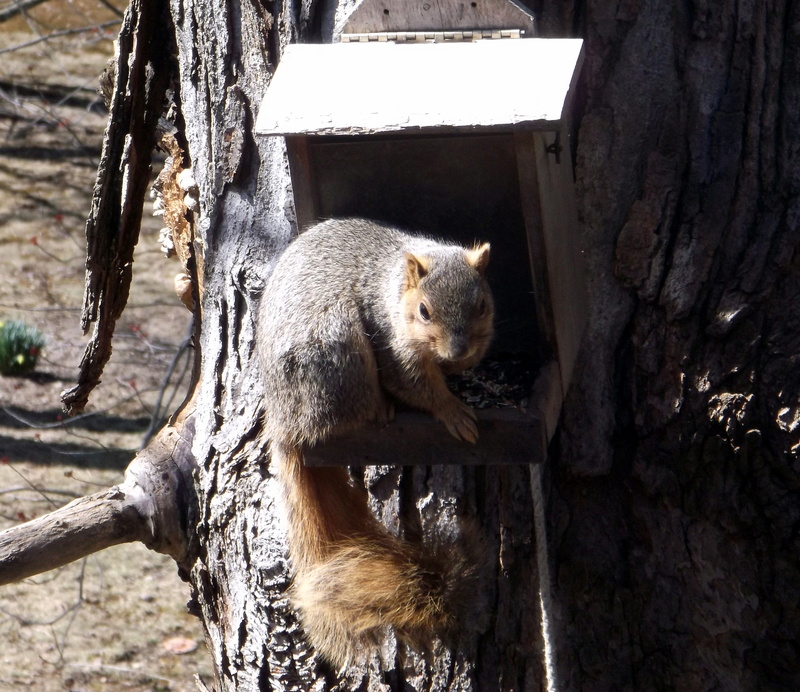 Say, “Hello!” to the Fox Squirrel. My father grew up on a farm back in a time and place where squirrels were a regular part of their diet. If he got his chores done quickly in the morning, he would head to the woods to see if he could bag enough squirrels for dinner before he left for school. 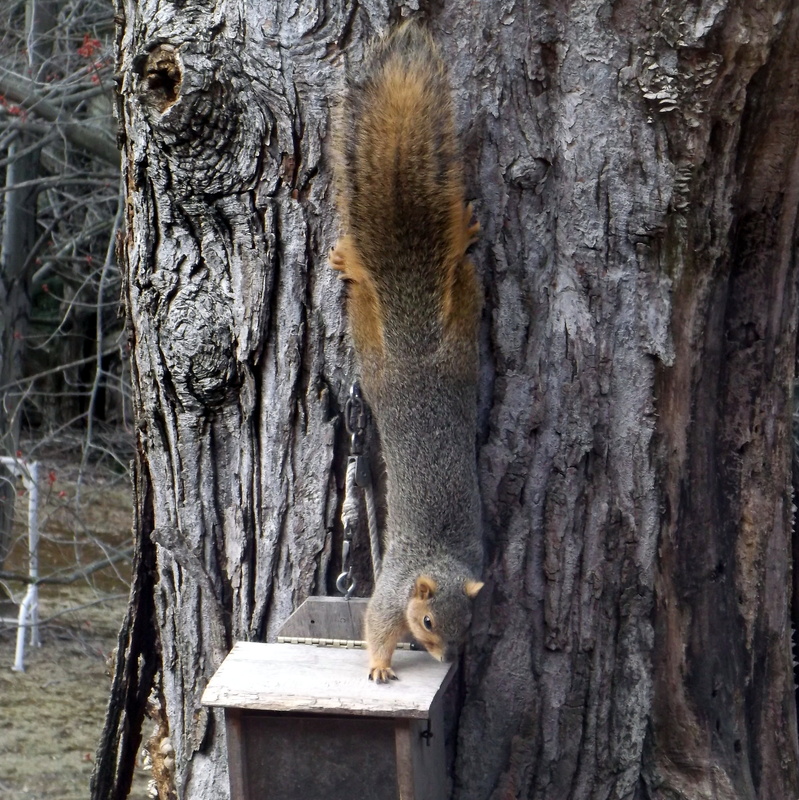 Cautiously checking the feeding area. 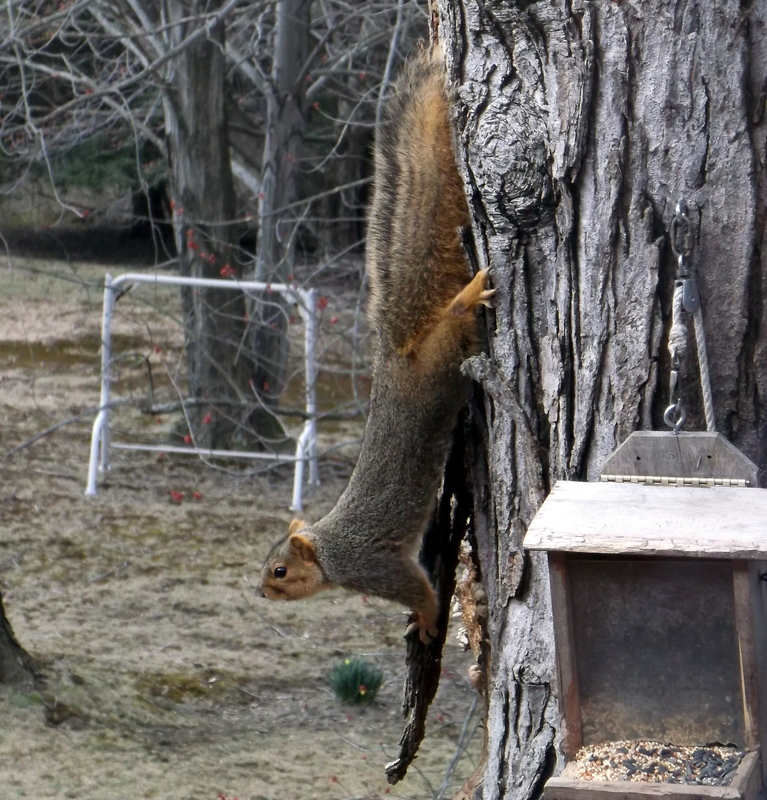 Raiding my feeder. 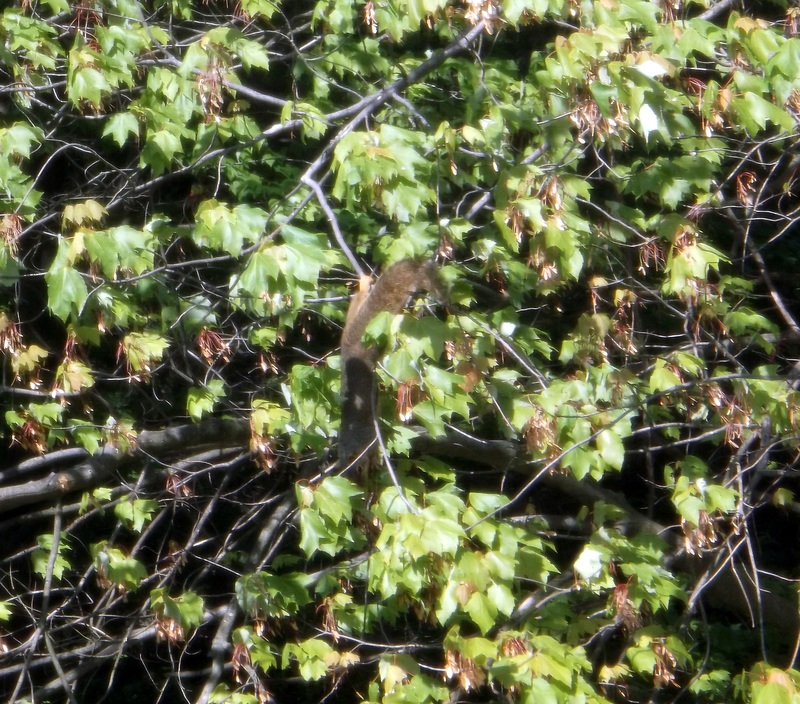 We usually only see these guys with any regularity in the spring. They’re probably hitting us up for seed to feed hungry mouths. Even though they make a mess at the feeders, I enjoy watching them from my window. 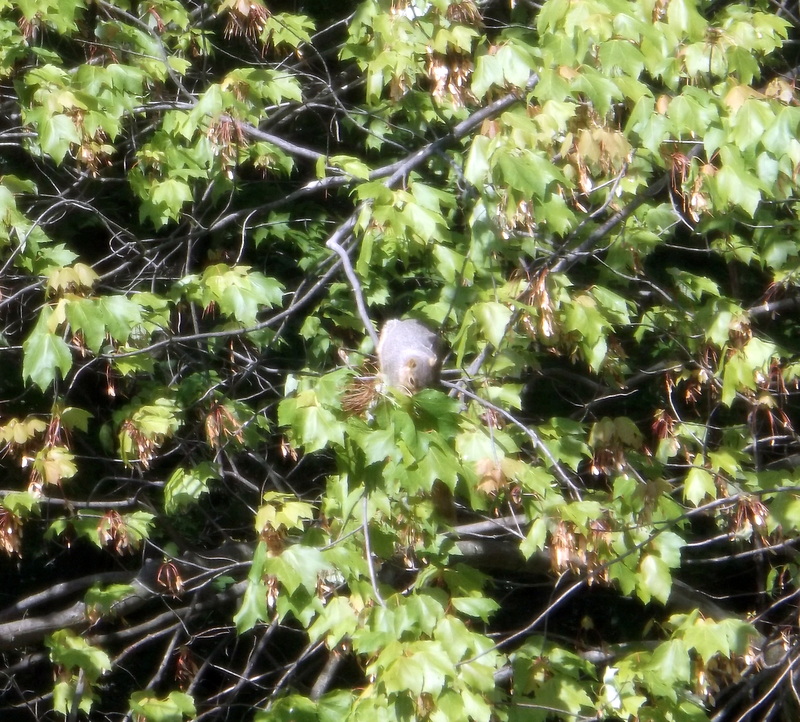 Enjoy your meal, squirrelly!